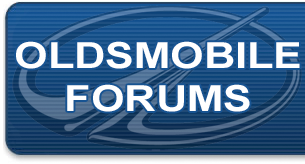 Oldsmobile Forum: How long does it take for a thread to be approved? All I get after posting a new thread after inserting an image is moderator must review and then after days & days post never makes it to the board. Is the spam usually from those that newly signed up? At least from my experience on forums, it's usually from bots that newly signed up. Maybe it might be worthwhile to consider (if it hasn't already) to allowing members that have x amount of posts and/or have been here maybe a week or so to allow them to post links without the need for moderator review? Or is something like this already in place (I did check the FAQs and the Rules of the forum, but didn't find anything)? If so, how long would it take a new member like myself to be able to post without need for moderator review? Last edited by suko; July 9th, 2015 at 12:07 PM.